Ah, the portal of possibilities! Paranormal possibilities. I love doors. Oh, those doors have metal rivets. Can evil lurk within? Oooh. Yeah, evil does lurk within. I love doors and lights. I always take snaps of them. 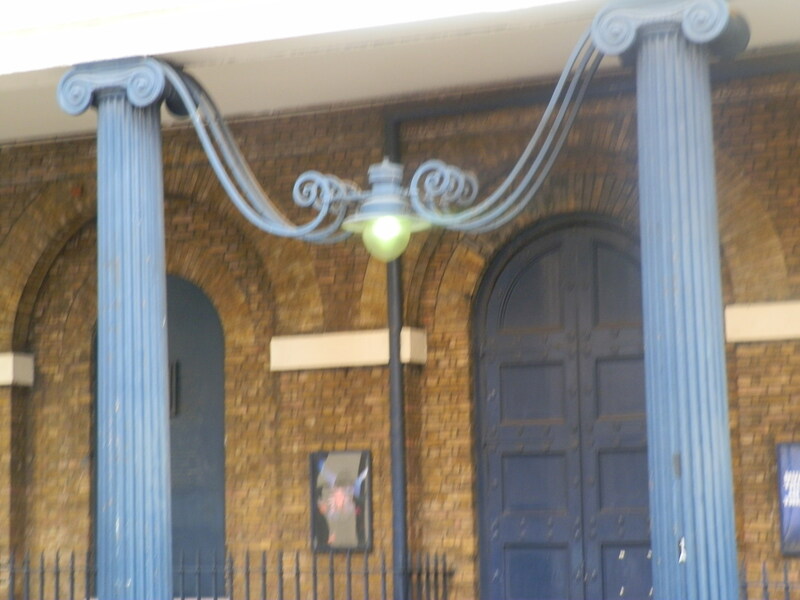 The theatre in London where we saw The Woman In Black play. Cool. I still like the lighting better than the doors. You really had a great time in London. Aren’t you glad you won’t be there for the Summer Olympics? Yeah. Crowds aren’t not my fav thing. Yeah. Had great time. And yep. Love me some lights. I have a whole collection of light fixture pictures. I shall. Not today. Lol.